Matt chats with Arkane Studios art director Sebastien Mitton about Dishonored 2, the sequel to one of the last generation's best games . 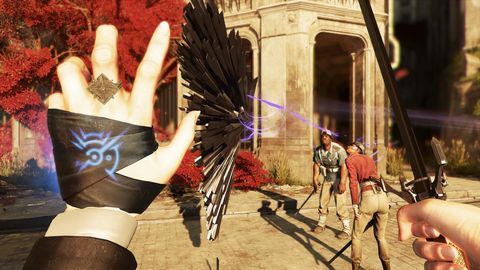 Dishonored 2 takes place 15 years after the events of the first game's Rat Plague, and sees the Empire of the Isles once again plunged into chaos when Empress Emily Kaldwin is suddenly dethroned by an "otherworldly usurper". Playing as Emily or her father and protector Corvo the player is tasked with reclaiming the throne in the coastal city of Karnaca – with or without the help of the mysterious Outsider. Q: Most boring question first: what's new this time around? 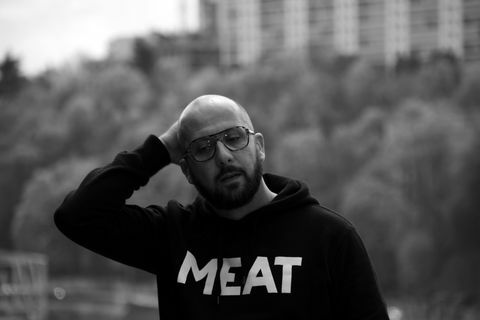 Sebastien Mitton: Uhhhh lots of stuff! It's a big question. First we have an all-new engine, because we are developing on the new generation of consoles. This engine has been crafted by us. It is based on the Id Tech 5 engine, but we kept like 20 percent of the engine and we did the AI stuff. We've put a lot of energy in the development side also – all the tools we needed. And the graphical side also has been enhanced a lot. We did everything ourselves – the lighting, the shadows. So what I like to say art-wise because I'm the art director is: art is not graphics. That was a saying during Dishonored 1 promotion. And here the art direction is still world class, but the graphics have been so enhanced that it's really equal. We have also an brand new story, we have new powers, all characters are voiced… I could talk a lot about the new stuff. Regarding the powers, now we have two characters, Emily and Corvo. They share some powers but also have their own. And now the system is a non-linear tree, and in addition we have more enhancements to these powers. For example, with Corvo's possession now you can possess flying stuff like the blood flies, and you can jump from one possession to another. You can even possess dead bodies, and link the possession to something else. We have things where you can blend powers together and have some really cool results. Q: Last time we spoke you mentioned that video chat is always running between Arkane's offices so you can converse casually at any time. How did development differ this time around? Sebastien Mitton: Dishonored 2 has been developed in France only (in Lyon), and Arkane Studio Austin is working on Prey. In a sense it's easier, because you have everyone around. But the plus from Dishonored 1 was every level was open full-time. Like, all day in Lyon then all day in Austin, so we were able to iterate more. But we are still in touch. The two studios are really close, we have comms and we play each build from the other studio so we are not totally separated. Q: You mentioned the new Void engine. What sort of work goes into retooling something like Id Tech 5? Sebastien Mitton: It's a tough decision to select an engine, especially for us because we have this kind of game that is a bit hybrid. We put in a lot of emergent systems and we don't script everything as you know, so this is a huge decision. The work we did on Id Tech 5 was to remove what we didn't need like the mini open world, and graphically it was not what we intended to do. And also what is really important is the development of the tools, because all level designers are working closely with the level architect to make this level as fun as you know. So tools, AI… an engine is a beast, it's lots of stuff. Especially when you move from one generation to another. It's refreshing for us as developers and for the players. 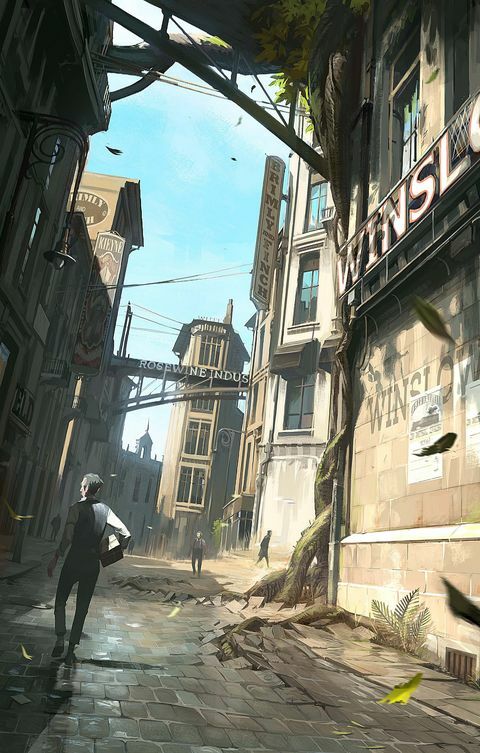 Q: In Dishonored you can tackle situations in a variety of ways. Where do you start work as a designer? How much experimentation do you allow yourselves? 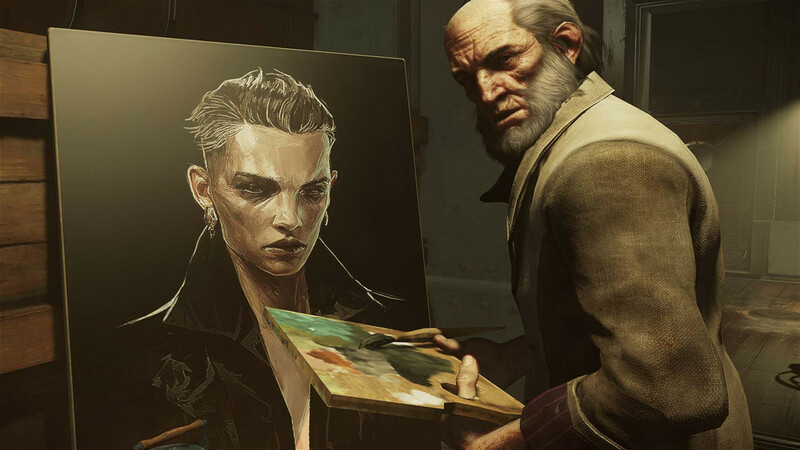 The plus of Dishonored 2 is we have pushed more for dedicated thematic missions. What I mean is that in 1 we had Lady Boyle's mansion, which was a bit different from the rest of the game. This time we have the Dust District with random storms, where the guards are blinded by the sand. We also have this clockwork mansion with every room moving, and it's not fake – you can bend time and go into the backstage of the house. We have the past/present mission we showed at E3 where you can look in the past and change things and you have different layers of present because you act in the past. So yeah, it was kind of a nightmare for the level designer, that's true! Because we do systems, when we say yes to one or two, we have to support our own decision to the end. In a way it's crazy and stressful, but in the other way it really pays off and we know we can do it. There was a time in the middle of the production when we were like, 'Are we sure we keep this?' Every time someone pushed for one idea because they really trusted in it, at the end it's really, really cool. My first wish was to create the city of Karnaca. But also from a mission from a district I wanted to see the others. That's why Karnaca is this round shape – the bay is really wide. And from the Dust District you can see the other side of the bay and say, 'Okay I was there, and the Clockwork Mansion maybe I will go there', and you have landmarks with this giant peak above the city. That's what the engine and the new generation allowed me to do. And it's really nice because you really fill the city, you're not just in canyons and streets, you can go onto rooftops and have good sights and see where is the Dreadful Well for example, this is your new hub. So that makes everything real and grounded. So yeah I worked closely with Harvey [Smith, game director]. I wanted to add more gender so we now have women in the guard factions to make it more balanced and true. How it works is Harvey has some ideas and we start to draw the line-up. We focus on the silhouette of the characters, for example. We have factions for Dunwall and factions for Karnaca – it's not a copy/paste. They are really tied to the city, they look a bit like people from a British colony. So yeah, story notes wind into the first rough line-up with the concept artist, and then we mock up in 3D the Arkane way. It's not polished and final because we want to play with them to see gameplay and mechanics, and in the distance I need to really get that this is a guard and not a gangster. So that's how we work. We give people the time to see if it works. We don't go straight to the final assets. 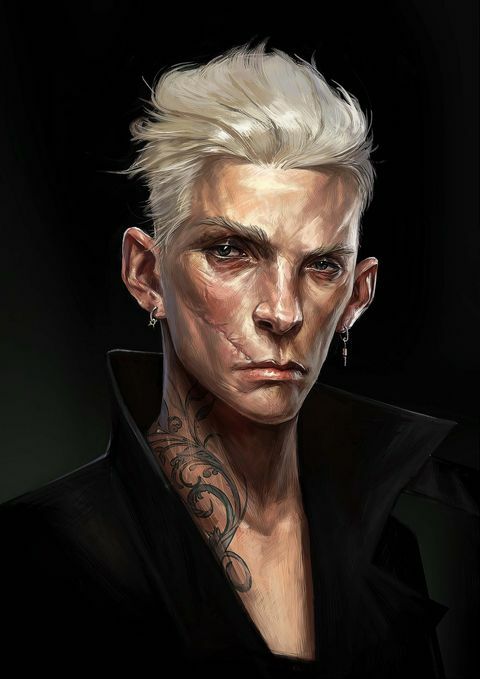 Q: Dishonored is pretty violent, although I personally don't find it off-putting at all. Do you have discussions around the level of violence and the functions it serves? Sebastien Mitton: Well yeah it's super hard because it's a game about an assassin, but like players in the forums or fans, we have the same discussions in the studio. Sometimes I'm shocked by the violence. Sometimes I'm like okay this is story-driven, there is a reason there. And also we allow the player to do it or not. In Dishonored 2 by the way we can say no to the Outsider and play the game in no power mode. But yeah the violence it is a discussion when we drink coffee, or we brainstorm ideas. We are like you, we are like, 'Maybe it's too violent?'. Some people really like it, some enjoy it, and can do a really cool move. When you view videos from YouTubers it's a ballet of blood. It's a tough discussion, but we consider that in the story and we try to let the player decide. We say yes to that. Q: Why is it so few games really nail first-person melee combat? Sebastien Mitton: When I applied at Arkane Studios it was 12 years ago and I saw the combat, the first prototype of Dark Messiah, and this was what convinced me to sign. That's why Bethesda came to us, because we are a specialist of the first-person combat/shooter. And I really enjoy the management of the body – we have a new body awareness with Emily and Corvo. To me, it's really essential to feel that you are grounded. So the story is important, but the animation of the character and the voice of the character really make it feel like you are experiencing something really strong. So yeah, we have these expectations for the combat and I really enjoy it myself every day. Q: Will there be another "The Drunken Whaler"? Sebastien Mitton: We still have Daniel Licht doing the scores, and it's really a certain style and it's really nice. Now we have musicians in the game too, and we have these songs. Q: Do you prefer Emily or Corvo? Sebastien Mitton: I would say Emily. Q: What's your preferred play style? We infiltrate the Clockwork Mansion.